The guest house, Su Corittu, located in a residential area of the city of Alghero a few minutes from the historic center, offers a comfortable and quiet environment that ensure guest a pleasant stay. The guest house is located in an apartment, recently renovated, located on the top floor of a building with lift and offers guest a terrace, surrounding the entire apartment, with panoramic views of the gulf of Alghero. 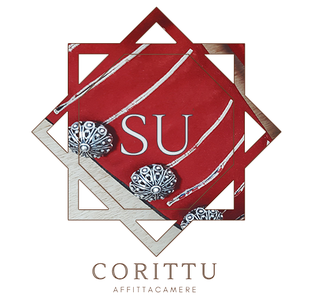 Su Corittu has confortable and modern rooms, including six large and bright rooms furnished with taste and simplicity. Each room is equipped with private bathroom, tv, air conditioning, safe, wi-fi and access to the panoramic terrace, where yuo can stay for enjoying breakfast or to sunbathe in the spaces purpose attrezzat. Its strategic position allows yuo to enjoy tranquility, both day and night, away from traffic and noise, to take advantage of the shops and service nearby, to reach restaurant and nightlife without having to take the car and it is even possible walk to the cliffs located below the promenade. The area is served by public transport links the allow yuo to quickly reach the main beaches of the city. Additional guest services: magazines, guides, maps and tourist deplian, reservations and agreements, transfers and organized tours, lunches and dinner, luggage storage.